At the beginning of the month, I set a goal of waking up at 5am to write. 30 days later, I’m happy to report that getting out of bed at that hour is no longer the struggle it once was. I’ve grown to love the quiet of the early morning and the time to be creative and productive without noise or distraction. I enjoy starting the day knowing that I’ve already accomplished so much. Of course, the month wasn’t so straightforward. 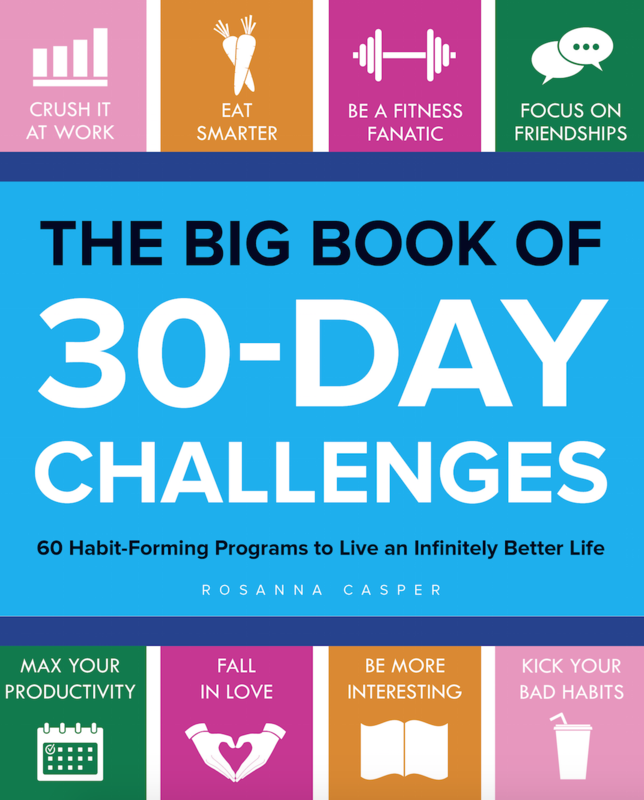 None of my 30 day challenges ever are. Three little kids and a husband who travels regularly for work make these kinds of habits and routines more challenging to stick to. We encountered runny noses, coughs, fevers, kids coming into my room at all hours of the night (including 5am on the nose), and another nighttime trip to urgent care. With every habit or behavior we endeavor to change, we have to anticipate setbacks and obstacles because the only guarantee is that they will happen. The question is, how will we deal with them? I did my best to wind down and go to bed early each night. I always made sure to plan out my writing schedule so that I knew what I needed to accomplish that day, even if it didn’t happen exactly at 5am. So when I got sick, couldn’t sleep, didn’t get to bed early enough, or stayed up half the night with a fussy baby and found myself having to write at midnight, 4am or 4pm, I knew, in detail, what I had to work on. And it made the task of writing that much easier. In the end, I woke up at 5am most days and it was enough to get my body used to waking up early… which is precisely what I wanted to accomplish. Looking to become an early riser? Take your bedtime routine seriously. Shut off your devices at least 30 minutes before going to bed. Don’t sleep on a full stomach. Work out and work hard during the day, but take the time to wind your brain and body down at night. Sleep in total darkness. For a more detailed list on how to fall asleep and stay asleep more easily, click here. Prepare your environment. If you’re waking up to write, place your computer and a glass of water at your desk, and have a plan for what you want to work on. If you’re getting up to go to the gym, prepare your workout clothes and shoes and place them where you can see them. In other words, make it easy for you to get up and out the door. Put your alarm clock on the opposite side of the room: This forces yourself to physically get out of bed when it goes off. Add an extra layer of protection and set two or three alarm clocks! Start moving. When the alarm clock does go off, get out of bed and immediately start moving the body. A few jumping jacks, pushups or squats is a great way to wake yourself up. Even better – take a cold shower. There’s nothing more energizing than cold water on your skin.